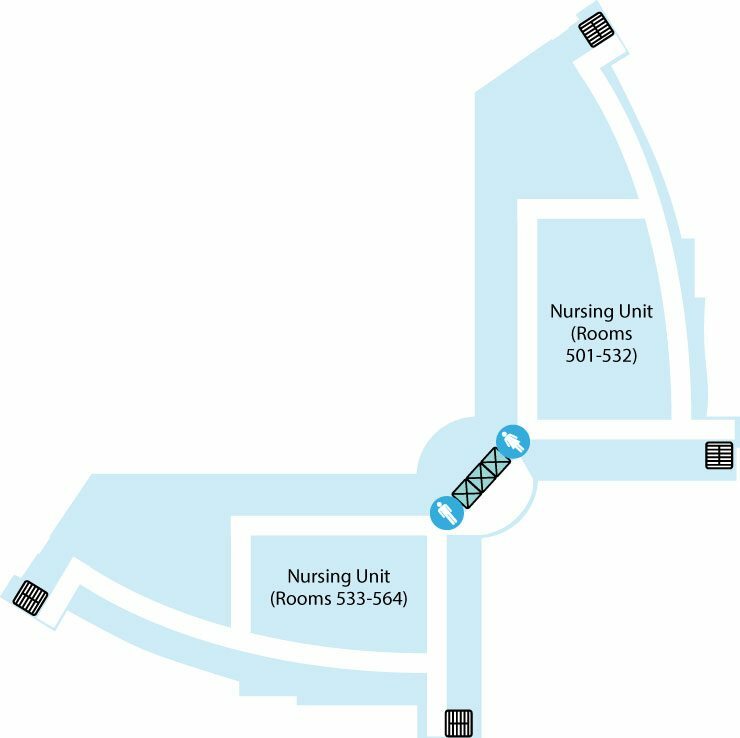 The lower level of the hospital includes our Pharmacy, Kitchen and Biomed/Engineering areas. The Reid Pharmacy serves Reid patients in the hospital, emergency patients, the Reid team and volunteers. 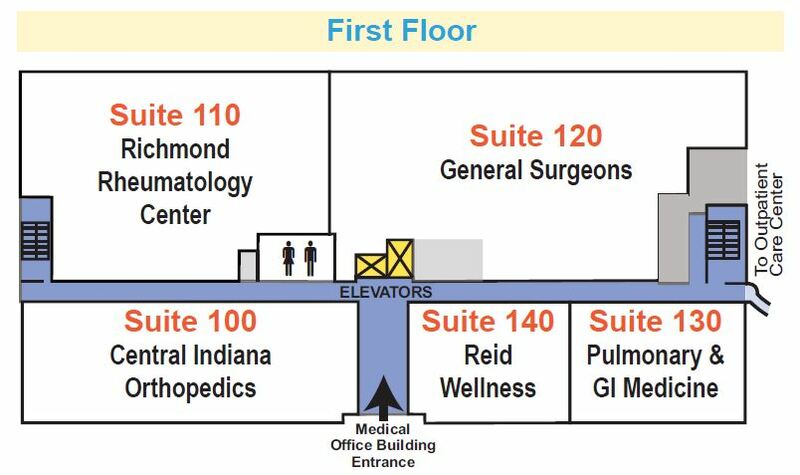 The pharmacy is a short walk from the main inpatient tower elevators. Separate drop-off and pick-up windows minimize waiting. The Lingle Hall and Auditorium is available to the community for specific health-related events. State-of-the-art audiovisual equipment allows projection into both the auditorium and hall when necessary. For more information, contact the Reid Innovation Center at (765) 983-3094. In addition to the grand fireplace and “Dreamworks” cloud sculpture suspended over our main lobby, the first floor also includes the Reid Cancer Center, Breast Center, Outpatient Lab Services, Occupational Medicine, Outpatient and Inpatient Radiology, Administrative offices, Human Resources, the Ginkgo Boutique, Espresso Bar, Café at Twelve Hundred, Occupational Medicine and several classrooms and conference rooms. 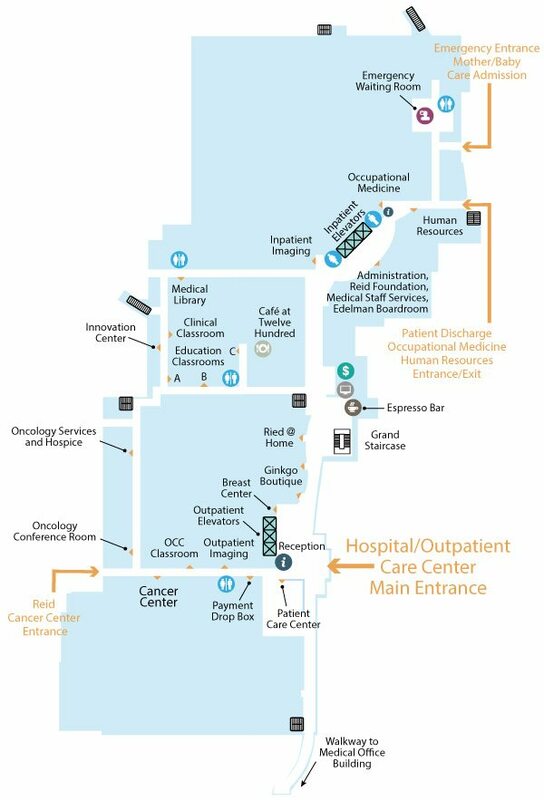 The Cancer Center has its own convenient dedicated entrance to the north, with outpatient lab, radiology, the Breast Center and the main concourse readily accessible from the main entrance. 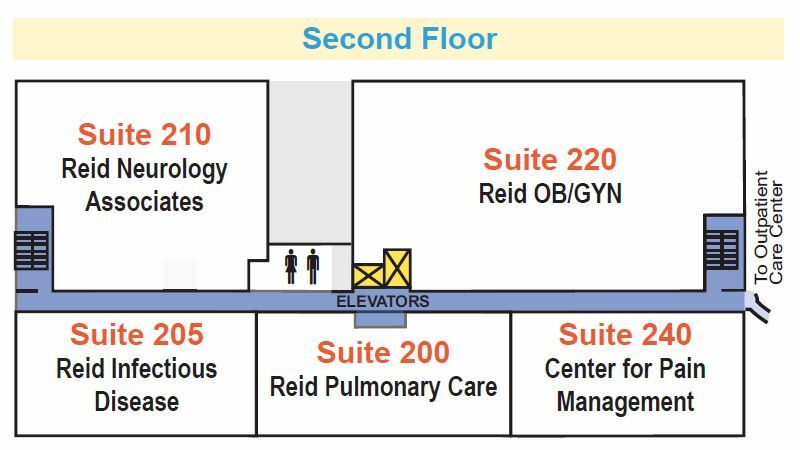 The second floor includes inpatient and outpatient surgery, Critical Care, the Golay Chapel, varied services that are part of the Heart & Vascular Center, and massage therapy. The Golay Chapel is available to anyone and is open 24 hours a day. 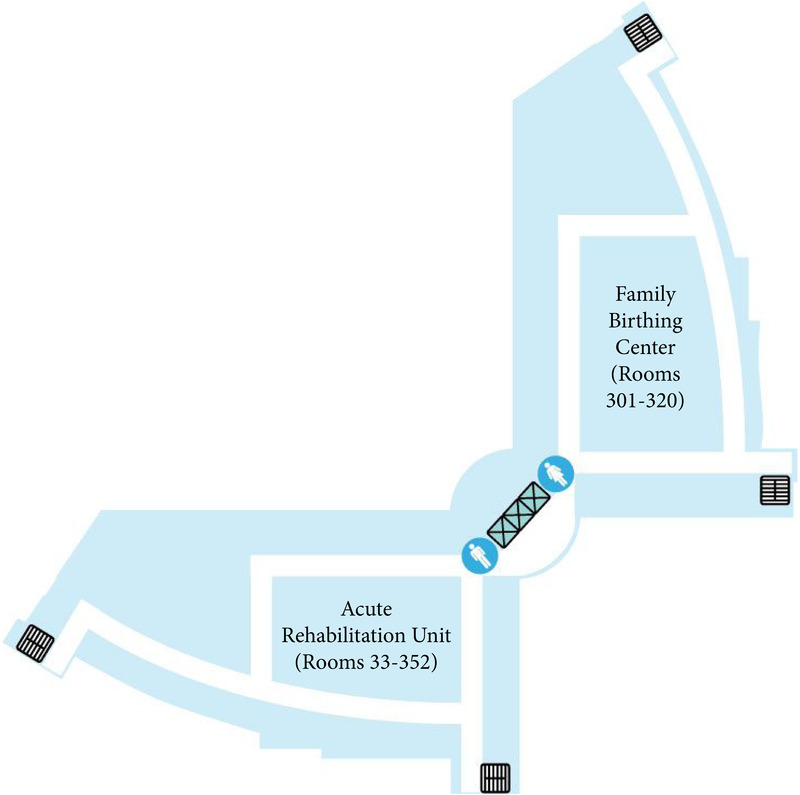 The third floor is home to the Family Birthing Center and the specialized Acute Rehabilitation Unit. The mother-baby unit offers home-like environment with its labor/delivery/recovery and postpartum rooms and an extensive electronic security system to protect our newborns. 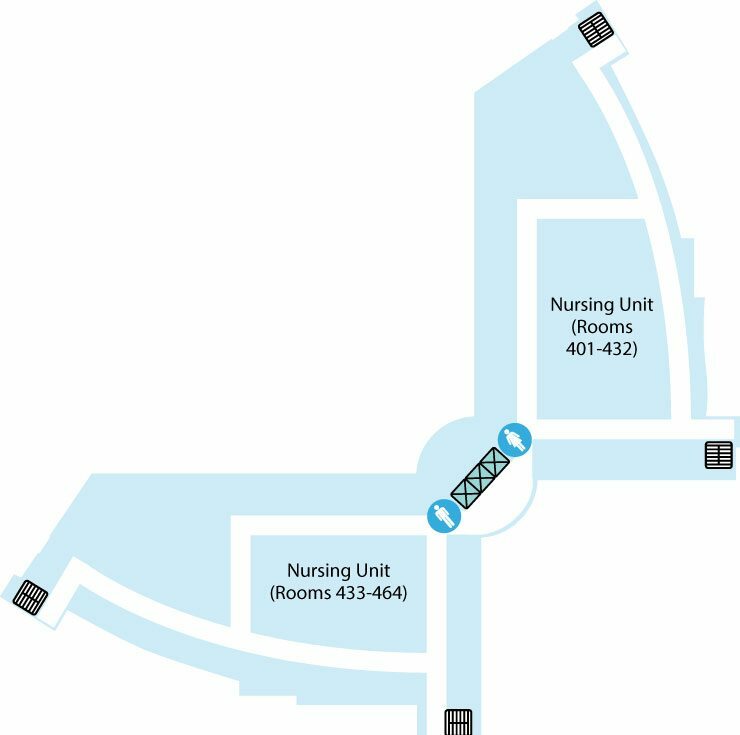 The fourth floor of includes two nursing units. 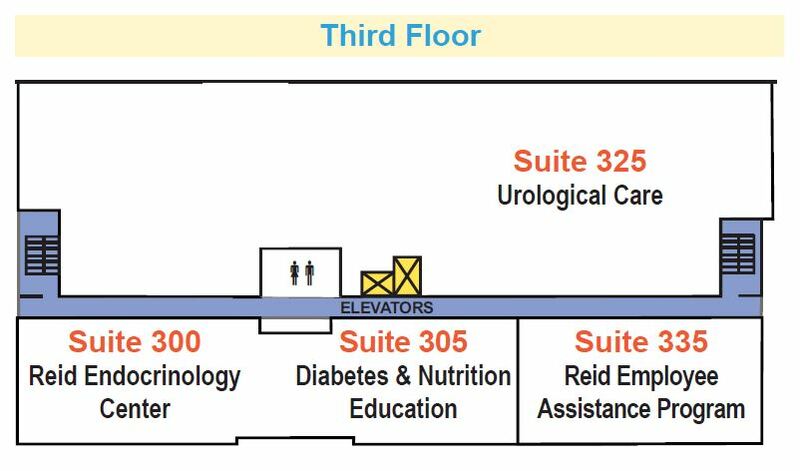 Our private rooms are equipped with a patient education system that allows patients and their visitors to enjoy television, Internet and email access, movies on demand, games, gift shop use and meal ordering. 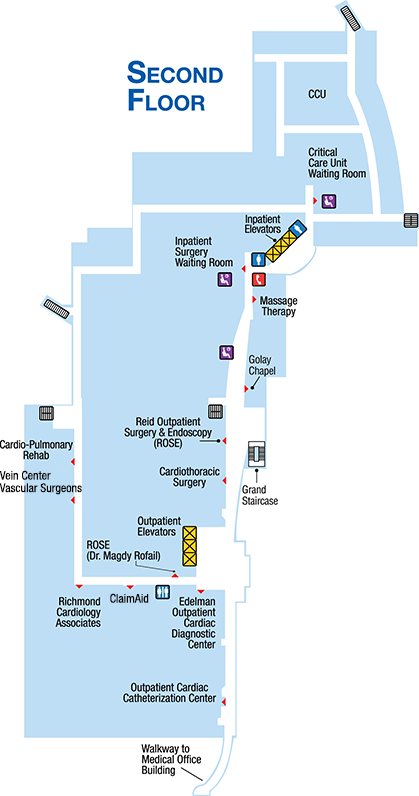 The fifth floor is also made up solely of patient rooms. Every unit has dedicated family areas. And our rooms include sofas for visitors that fold out into a bed for overnight accommodations. 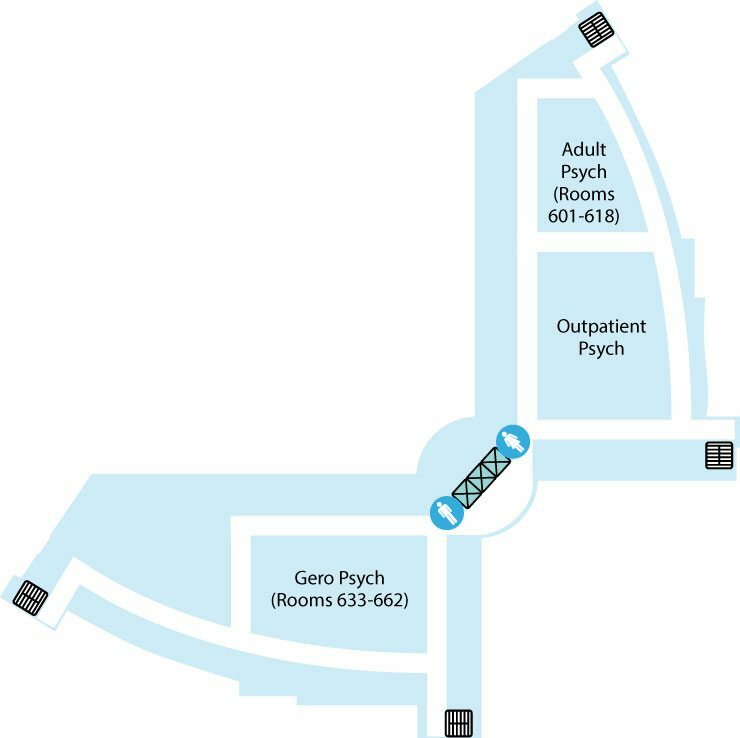 The sixth floor includes three Psychiatric units – Gero, Outpatient and Adult Psych. The views from patient rooms on the upper floor “oasis” areas are part of the healing environment.